← Everything I know about writing I learned from my dog. Two historical romances set in America in the 1850s are on sale this weekend only, as part of Amazon’s Kindle Christmas Deal. For 99 cents each, you can own these two books about the turbulent times leading up to the Civil War. 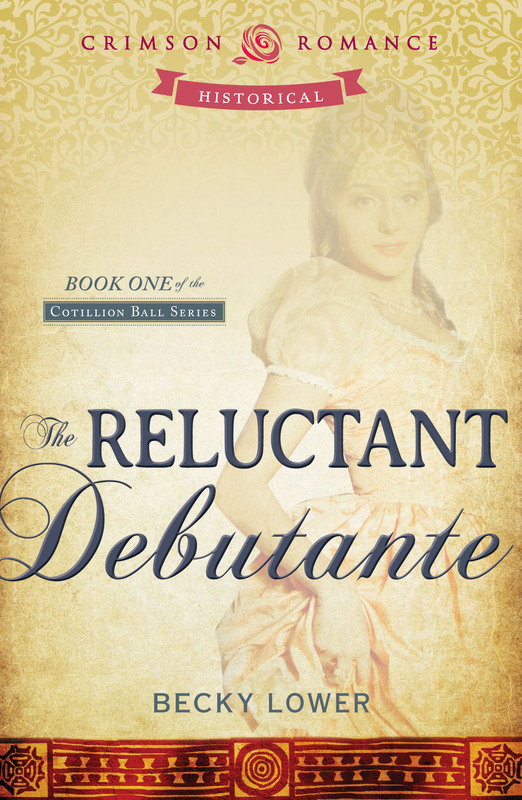 The Reluctant Debutante takes place in New York and St. Louis in 1855, and the heroine, Ginger Fitzpatrick, becomes a staunch supporter of women’s rights and Amelia Bloomer. When she falls in love with a half-Indian, she faces a whole new set of society’s challenges. Banking On Temperance is set in St. Louis, and features a family who are bound for Oregon, so the sons can avoid the upcoming Civil War conflict. The head of the family takes sick and they are forced to winter over in St. Louis, where the eldest, Temperance, falls in love with Basil Fitzpatrick. But he can’t help her fulfill her father’s dying request, to see the boys to the safety of Oregon. This entry was posted in Uncategorized and tagged American historicals, Becky Lower, Crimson Romance, Historical romances. Bookmark the permalink. 1 Response to Final Weekend To Save! I write historical novels, too. Glad to meet you.